Find a property for sale in Plymouth, including investment student accommodation with rental guarantees, flats and houses in the coastal city of Plymouth, within walking distance to the city centre. Contact Property UK for exlusive real estate and offers in Plymouth. 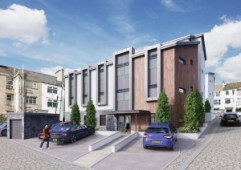 Investors will be glad to know that we are offering these properties for sale with a three year rental guarantee in place, netting 8% per annum – these Plymouth student accommodation are a must see and will not be on the market for long.